Italdesign is a service company providing design, engineering and production for the transportation industry, through to final testing and type-approval and support into starting of production and the design of complete Business models. Italdesign is based in Moncalieri, Torino, Italy and today has premises of more than 50.000 squared meters, a full-scale design and engineering campus and a cutting edge development and prototyping center. It has about 1000 employees in Italy, Germany and Spain. 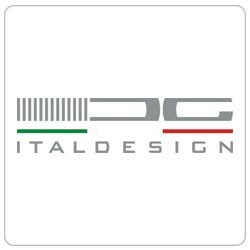 Italdesign offers its services to all interested parties worldwide. In 2017 Italdesign launched as additional business, a dedicated unit to design, develop and produce ultra-limited vehicles for all OEMs Worldwide: Italdesign Automobili Speciali. Research and innovation has enabled a continuous growth, along with the ability to choose competent and motivated people, united by a real and concrete passion for excellence. People able to compete every day with the complexity and competitiveness of the market, able to work in integrated teams, to express their creativity in every field, to give the best of themselves in any conditions. In 2016 Italdesign was recognized by Universum as one of the most attractive Italian companies and in 2017 is awarded for the second year in a row as Top Employer in Italy. We are looking for people full of energy, who want to test their talent and develop their skills. Because in Italdesign we all love our jobs and are looking for others who, like us, want to share our same passion and create the best design products in the world.This is why we demand a lot but also offer a lot in exchange: a cosmopolitan environment, highly qualified work teams, ambitious projects and the guidance of the best professionals. Our promise is a project for the future.